Areca palms are perfect for adding a bold, tropical touch to your home. These variety of beautiful palm trees thrive as houseplants in bright rooms. It's easy to decorate with these plants: Use palms to break up a section of blank wall, to fill an empty corner, to soften the edges of windows or furniture, or act as a living sculpture at the end of a side table. A row of houseplant palms can make for a lovely living screen or room divider, too! 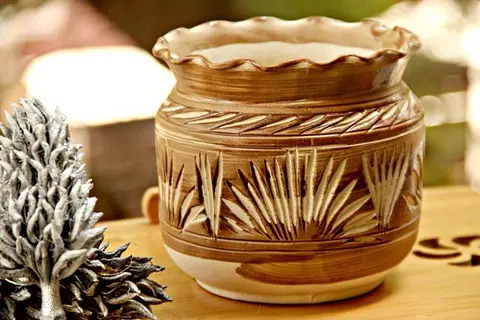 An easy way to dress up any palm is to grow it in an attractive container. 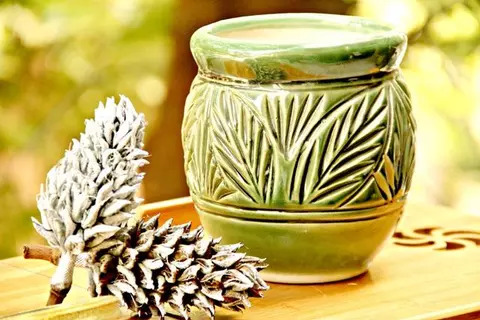 Look for pots that match your decor style or color scheme. Tall, narrow pots are especially fun for houseplant palms because they accent the trees' elegant, upright shapes. Care Instructions While there's a wide range of houseplant palms available, most have similar growing needs: a bright spot (the brightest spot you can give them in most cases) and a watering when the top inch or two of the potting soil starts to dry out. As with any indoor plants, grow houseplant palms in containers that have drainage holes so excess water can escape. Most palms don't like wet feet and can suffer from root rot if too much water builds up at the bottom of the pot. 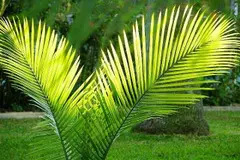 One relatively common problem palms can have is brown leaf tips. 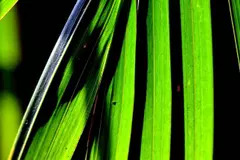 This browning may occur from a number of factors, including: Dry air (remedy brown leaf tips by supplying your houseplant palm with more humidity), too much fertilizer (giving your palm too much fertilizer at one time or over the course of time can make the leaf tips go brown), being kept too dry (if palms suffer from dry soil too long, they'll start to lose the tips of their leaves). Note: Houseplant palms are not intended to be eaten by humans or animals.